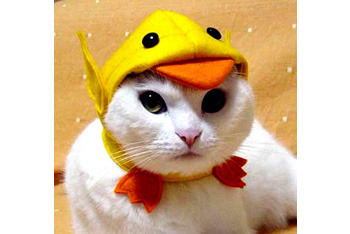 Halloween isn’t just a special occasion for humans - let your cat or dog get in on the dressing up fun too! 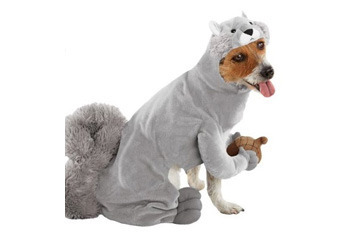 Although our pets are more limited in what they can dress up as - being furry and on all fours - there are a surprising amount of cool costumes out there for them at reasonable prices! 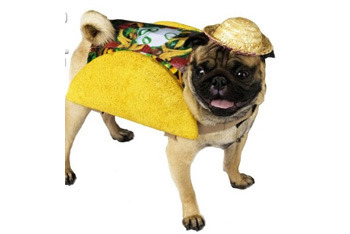 Most of these costumes are modeled on dogs but of course if you have a similar sized cat, you can attempt (at your own risk) to put the costume on your feline friend as well. 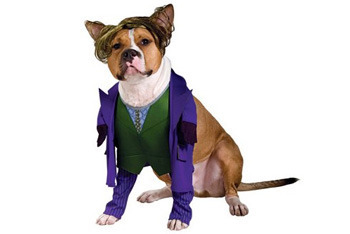 Dogs do tend to love the spotlight and to love dressing up much more than cats do - how else can we explain all the dogs in raincoats and sweaters strutting their stuff in the parks? Or the total lack of cats on leashes you see outdoors? 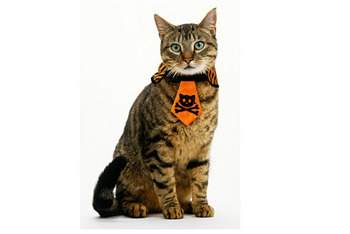 The only costume we saw modeled on a cat involved a Halloween themed necktie from Wal-Mart with a skull and crossbones pattern on it but you can always try! 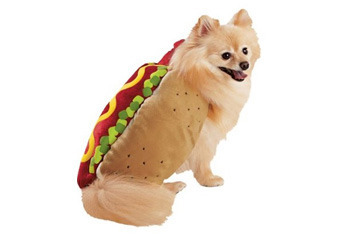 For dogs, the list is endless - you can dress your dog up as a squirrel, a hippie, a hotdog, a ttaco, a pumpkin and even The Joker from the Batman movie Dark Knight. 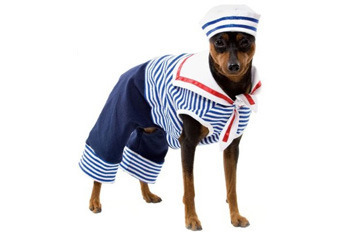 Other favorites include a Headless Horseman Pet Rider costume, a black cat costume for your dog and a hilarious looking sailor dog costume! 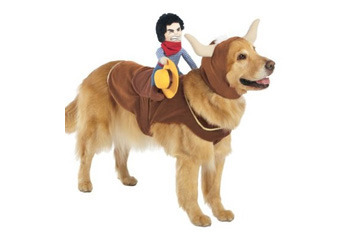 Check out our gallery of the best pet costumes and hurry to the mall before they sell out! 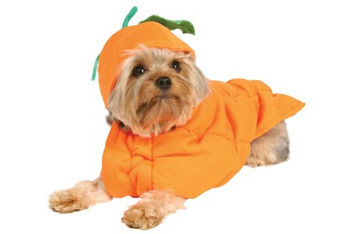 Why not make Halloween a fun tradition you share with your pets? 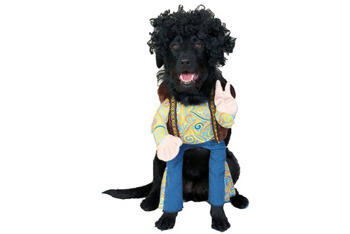 Take your dog trick-or-treating with you or let them answer the door and help give out candy in their costumes. We all know how excitable dogs can get - go to the doggy bakery (or pet store) and get some special Halloween-themed pet treats or learn to make them yourself! 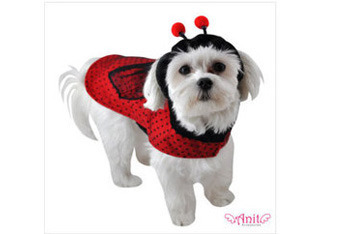 Not only does it make Halloween extra special for your pet, imagine how cute all the pictures will look of your dog or cat in a ladybug costume. 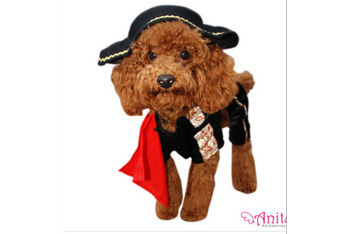 Will you dress your pet up this Halloween? Let us know in the comments section below! 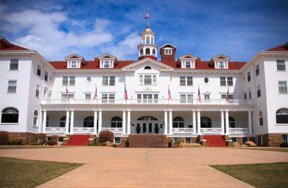 Either a ghost or witch. I'm dressing up as a celebrity.